Kristina Sabaliauskaitė – Lithuanian writer of Polish origins with a PhD in art history. Since 2002, she lives in London. 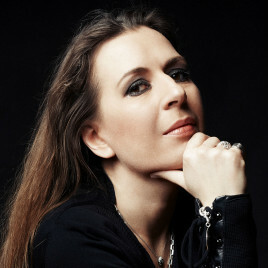 The author of the best-selling trilogy Silva rerum (2008-2014), the multigenerational saga of the Narwojsz noble family, in which she repainted the Polish-Lithuanian Commonwealth from the 17th and 18th centuries with great warmth, contributing to the restoration of this period to the wider public consciousness. The first part of Silva Rerum (the Polish edition was published this year) has been named one of the 10 novels of the decade by the Lithuanian PEN Club, and the entire trilogy was awarded the prestigious Liudas Dovydėnas Prize in 2015.